Bulgaria may be relatively small and still fairly new to the golfing scene but, the quality of its facilities are putting golf in Bulgaria firmly on the map. This Balkan nation borders the Black Sea coastline and its diverse terrain makes for truly spectacular scenery. It has a rich heritage and exciting mix of cultural influences to be discovered. 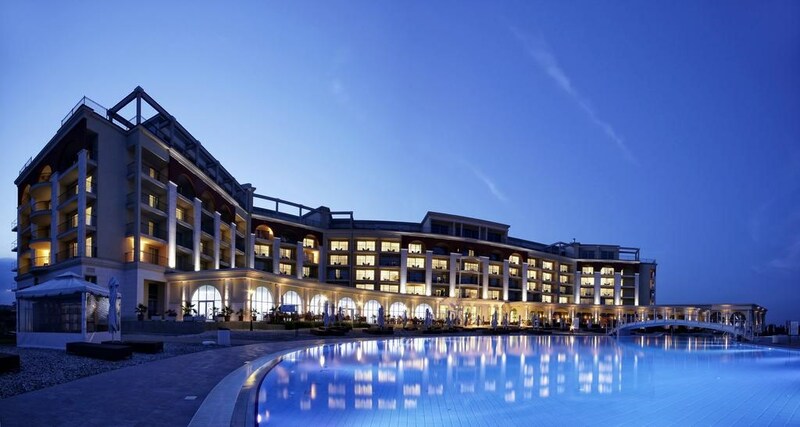 Nestled along the Black Sea coastline is the exceptional Thracian Cliffs Golf and Beach Resort. The Championship golf course designed by Gary Players has been named in the Top 5 Most Spectacular Golf Courses in the world and with its location on the cliff side, it’s easy to see why. Or, for your next Bulgaria golf break, visit the luxurious, five-star Lighthouse Golf & Spa Hotel. The onsite course offers a challenge to golfers of all abilities while the breathtaking views make it a truly memorable experience. After a day on the fairways, there are a wealth of cultural sites worthy of your exploration. From golden beaches and untamed landscapes to opulent churches and a bustling nightlife, Bulgaria golf holidays offer something for everyone. Golf Travel Centre’s excellent range of golf packages and breaks can be tailored specifically to your requirements. Whether you’re looking to get away with friends or spend some quality time with family, choose from our selection of Bulgaria golf breaks.